HOW DID THAT GET INTO MY LAWN: TICKS! This ugly little creature is Ixodes scapularis, more commonly known as the deer tick. It’s only one of more than 500 species of ticks world-wide with 25 of those species being found in Pennsylvania. The main reason why these parasitic arthropods are so feared is because of their propensity to transmit diseases, parasitic worms, bacteria, and viruses. The most commonly known disease they transmit is Lyme disease with our area being one of the most at risk; a virtual nightmare for parents and pet-owners. They can also transmit Rocky Mountain Spotted Fever, Tulermia, Babesiosis, Erlichiosis, and Tick Paralysis. Generally, a tick won’t be larger than the size of a sesame seed (3 mm) unfed, but after feeding, ticks can swell up to about 11 mm. After feeding, the abdomen swells up to a greyish-blue mass. If you happen to spot one on yourself, your child, or your pet, don’t panic. There is a proper way to remove ticks to minimize the chance of the further risk. Use a pair of fine-tipped tweezers to grasp the tick, grabbing as close to the skin’s surface as possible. Pull upward with steady, even pressure. After the tick is removed, clean the area, your hands, and the tweezers with rubbing alcohol, iodine, or soap and water. Using petroleum jelly, burning or freezing them off, or using nail polish are all tick removal myths. When you find a tick, just pluck it off immediately. How does a tick get on your lawn in the first place though? Ticks can simply walk onto your lawn or they hitch a ride on animals like opossums, rabbits, raccoons, skunks, squirrels, and their favorite, deer. If you have pets that are allowed outside, they can bring ticks onto the property as well (you can protect pets with flea & tick treatments). There are ways you can make it harder for ticks to get on your lawn though. Have applications of pesticide applied to the grass, keep excessive amounts of dead leaves and yard debris off of the landscape, keep firewood stacked neatly and in a dry area, and put up fencing to keep unwelcome animals out. If you’re able to, put up a buffer zone of wood chips or gravel around the perimeter of the property; it’s unpleasant for ticks to walk over. These blood-suckers can make being out on your lawn unpleasant or even dangerous so take precaution and always check for ticks after being exposed to any environment where they’re likely. Mosquitoes are attracted to carbon dioxide, so if you think you can outrun them you are incredibly wrong. Mosquitoes will catch up to you. However you can rely on electric fans to keep mosquitoes away a recent study shows. According to the Journal of Medical Entomologya fan-generated wind strongly reduced the number of Mosquitoes in traps. • Pay special attention to discarded tires. Stagnant water in tires are where most mosquitoes breed. • Drill holes in the bottom of recycling containers left outdoors. • Have clogged roof gutters cleaned every year, particularly if the leaves from surrounding trees have a tendency to plug up the drains. Roof gutters can produce millions of mosquitoes each season. • Turn over plastic wading pools when not in use. Stagnant water in a wading pool becomes a place for mosquitoes to breed. • Turn over wheelbarrows and don’t let water stagnate in birdbaths. Both provide breeding habitats for domestic mosquitoes. • Aerate ornamental pools or stock them with fish. Water gardens can become major mosquito producers if they are allowed to stagnate. Clean and chlorinate swimming pools not in use. A swimming pool left untended by a family on vacation for a month can produce enough mosquitoes to result in neighborhood-wide complaints. Mosquitoes may even breed in the water that collects. Unlike most fleas, adult cat fleas remain on the host where feeding, mating, and egg laying occur. Females lay about 20 to 50 eggs per day. Cat flea eggs are pearly white, oval, and about 1/32 inch long (Figure 3). The eggs are smooth and readily fall from the pet and land on surfaces such as bedding and carpeting in the animal’s environment. They hatch in about 2 to 5 days. Flea larvae are no larger than 3/16 inch long, hairy, and wormlike with a distinct, brownish head but no eyes or legs (Figure 4). The larvae feed on dried blood and excrement adult fleas produce while feeding on the pet. Larval development is restricted to protected places where there is at least 75% relative humidity. The larvae feed and crawl around for 8 to 15 days before building small, silken cocoons in which they pupate and develop into adults. Debris, such as pet hair or skin or carpet fibers, usually covers the pupae, providing visual camouflage. Recent advances in molecular research indicate cat fleas are capable of transmitting a murinelike typhus disease in humans, cat flea rickettsiosis. The symptoms are similar to murine typhus but less severe, including headaches, chills, fever, vomiting, and rash. This rickettsial agent is widely found in cats and cat fleas worldwide. It is likely that many previously diagnosed cases of murine typhus actually might have been cat flea rickettsiosis. New, safer, and more effective products aimed at controlling adult fleas on pets have made cat flea management without pesticide sprays, shampoos, and dusts feasible in most situations. Management of fleas on pets must occur in conjunction with regular, thorough cleaning of pet resting areas indoors and out. 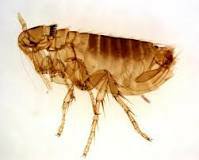 Once fleas infest a home, control will require a vigilant program that includes vacuuming, eliminating fleas on pets, and cleaning up and possibly treating shaded outdoor locations where pets rest. Several types of products are available to control fleas on dogs and cats. The newer products are either applied topically to the body of the pet or provided orally (Table 1). 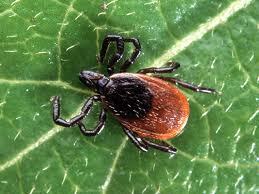 Products containing fipronil, permethrin, or amitraz also are designed to control ticks. Products containing the insect growth regulators (IGRs) methoprene and pyriproxyfen are designed to provide long-term control of flea eggs and immatures in the environment. If you administer oral or topical products early in the year before flea populations begin to build, the products can prevent fleas from establishing themselves in your home. Contact your veterinarian for advice in selecting the best flea-control product for your situation. Supplement the use of these products with good housekeeping in areas where the pet rests. 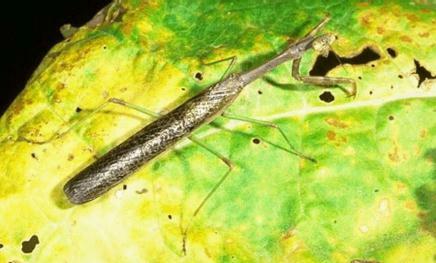 The pale green European mantid is intermediate in size, about 3 inches in length. The large (3 to 5 inches long) Chinese mantid is green and light brown. The Carolina mantid is a native insect. The European and Chinese species were introduced in the northeast about 75 years ago as garden predators in hopes of controlling the native insect pest populations. During mating the smaller male often jumps on the back of the larger female. Miscalculating the jump may mean the male becomes a meal. If the jump was successful, the pair mate and during copulation the female may turn and devour the male's head. The body of the male is capable of completing the mating, when complete the female will finish eating the male. A garden is a buggy place. Garden plants attract insect pests by the dozens, from aphids to slugs. But before you reach for an insecticide, take another look at the insects in your planting beds. While the pests are devouring your squash and tomatoes, another wave of insects is coming to the rescue. Beneficial insects prey on the pests gardeners detest, keeping insect populations in check. You should learn to recognize these top 10 beneficial insects in your garden. Lacewing larvae might look like pests, but they're actually predators. Most of the beautiful adult lacewings feed on pollen, nectar, and honeydew. Green lacewing larvae, however, are voracious predators. Nicknamed "aphid lions," the larvae do an impressive job of devouring aphids by the dozens. Larvae hunt for soft-bodied prey, using their curved, pointed mandibles to stab their victims. Everyone loves a ladybug, but gardeners hold them in especially high regard. Lady beetles eat aphids, scale insects, thrips, mealybugs, and mites – all the pests gardeners despise. With lady beetles, you get more bang for your buck, because both the adults and the larvae feed on pests. Lady beetle larvae look like tiny, colorful alligators. Learn to recognize them, so you don't mistake them for pests. Assassin bugs feed on a variety of pests, and some other beneficials, too. Assassin bugs know how to take care of business. These true bugs use trickery, disguises, or just plain brute force to capture a meal. Many assassin bugs specialize in certain kinds of prey, but as a group, assassins feed on everything from beetles to caterpillars. They're fun to watch, but be careful handling them because they bite – hard. Praying mantids feed on just about any insect they find, pest or not. Contrary to popular belief, it is not illegal to harm a praying mantis. But why would you want to? Praying mantids can handle even the largest pests in the garden. You need a good eye to spot one, because their coloration and shape provide them with perfect camouflage among the garden plants. When the nymphs hatch, they're so hungry they sometimes eat their siblings. In fact, praying mantids are generalist predators, meaning they're just as likely to eat a helpful lady beetle as they are to catch a caterpillar. Minute pirate bugs, tiny as they may be, do their part to keep aphids under control. Arrgggh. You probably have minute pirate bugs in your garden, and don't even know it. Minute, indeed – these predators are tiny! Minute pirate bugs usually measure a mere 1/16th inch long, but even at that size, they can put away a good number of aphids, mites, and thrips. Next time you're in the garden, take a hand lens and search for them. Adults have black bodies with a white chevron pattern on their backs. Ground beetle larvae feed on pests that live in soil. You've probably overlooked the ground beetles in your garden. Lift a stepping stone, and you might see one skittering away. The dark-colored adults often have a metallic sheen, but it's really the larvae that do the dirty work of pest control. Ground beetle larvae develop in the soil, and prey on slugs, root maggots, cutworms, and other pests on the ground. A few species will venture up a plant stem and hunt for caterpillars or insect eggs. Syrphid fly larvae eat aphids by the dozens. Syrphid flies often wear bright markings of yellow-orange and black, and can be mistaken for bees. Like all flies, though, the syrphids have just two wings, so take a closer look if you see a new "bee" in your garden. Syrphid maggots crawl on garden foliage, searching for aphids to eat. They're quite good at squeezing in the curled up leaves where aphids hide, too. As an added bonus, the adults will pollinate your flowers. Syrphid flies are also called hover flies, because they tend to hover over flowers. Not all stink bugs are beneficial, but some prey on other insects. Though many stink bugs are plant pests themselves, some predatory stink bugs keep pests in check. The spined soldier bug, for example, feeds on caterpillars, sawfly larvae, and grubs. Most predatory stink bugs are generalist feeders, so they might also devour your lady beetles or even their own kin. You can recognize stink bugs by their shield-shaped bodies, and the pungent odor they produce when disturbed. Tiny big-eyed bugs eat their weight in pests. Predictably, you can distinguish big-eyed bugs from their closest relatives by looking at their large, bulging eyes. Like many other true bugs, their bodies are oval and somewhat flat. Big-eyed bugs are quite small, reaching an average of just 1/8th inches in length. Despite their diminutive stature, both adults and nymphs feed heartily on mites, aphids, and insect eggs. Damsel bugs look a bit like small assassin bugs. Damsel bugs use thickened front legs to grab their prey, which includes aphids, caterpillars, thrips, leafhoppers, and other soft-bodied insects. Nymphs, too, are predators, and will feast both small insects and their eggs. With their dull brown coloring, damsel bugs blend in to their environment quite well. They look similar to assassin bugs, but are smaller. Look out for bats in your local area and roosting in your house, and then try to work out how to provide feeding sites in your garden. It’s easy to forget that bats can be common in urban areas as well as in the countryside. It’s exciting to see them swooping over a pond catching insects on a summer evening, but what can you do to attract them to your garden? Well, unfortunately, the truth is that your options are limited. Even if you have bats roosting in your house, all you will probably see is them spilling out at dusk and disappearing off to their feeding sites. As a consequence, you would do well to start looking for bats in your local area and then think about how to make your garden more appealing to them. Bats like a diversity of habitats, particularly areas with mature trees and water, so wooded parks, canals and riverbanks are good places to start. Many species dislike flying across open areas, because they are very vulnerable to predation – it’s estimated that 11 per cent of all British bat deaths are due to birds of prey, so provide safe flyways through your neighbourhood with trees and overgrown hedges to increase the chances that bats will use your garden. Remember, there are far more insects in the canopy than close to the ground, and it is here that bats feed – if you have space for trees, they will do more than anything to attract bats to your garden. WHICH BATS ROOST IN URBAN AREAS? While relatively few bat species forage in urban gardens, houses are popular roost sites. Both common and soprano pipistrelles roost in buildings in built-up areas. If you see them at all, they are likely to be flying into white street lights to catch insects or hawking over garden ponds. Maternity roosts are usually on the south or south-west sides of buildings, presumably because these are the warmest places. Large pipistrelle maternity roosts can host several hundred bats. Brown long-eared bats are the species most likely to use bat boxes, especially for breeding. They are easy to identify from their slow fluttering flight and the way they hover to pick insects off the leaves of garden trees. They are occasionally even seen fluttering outside windows, picking up insects attracted to the lights, and may hang up in the porches of houses to eat, leaving a pile of discarded wings and faeces. 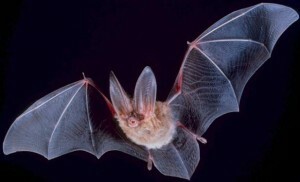 Larger species such as Leisler’s bats and serotines sometimes breed in houses in urban areas, but generally they fly off to feed in nearby rural locations. However, both species can be seen hunting around white street lights, and Leisler’s sometimes forage along urban canals. Other species of bats in urban areas rarely use gardens. Natterer’s bats will roost in large old houses, but forage in wooded parks and along canals and rivers. Daubenton’s bats are closely associated with still or slowmoving water, even in built-up areas. Bats skimming the surface of still water are likely to be this species. Bat boxes are used by brown long-eared bats, both to roost and breed. Place a few in your garden at different heights and facing different directions. Pipistrelles are most likely to breed in your house. They like cavity walls and spaces under the eaves in modern houses, so try not to block these off. Pipistrelles fly along walls, taller hedges (human height is good) and tree lines to minimise the risk of predation, so it is important to provide secure flyways to and from their roosts. White street lights attract clusters of insects, which are often exploited by pipistrelles. They can be seen flying through the pool of light to grab their prey. 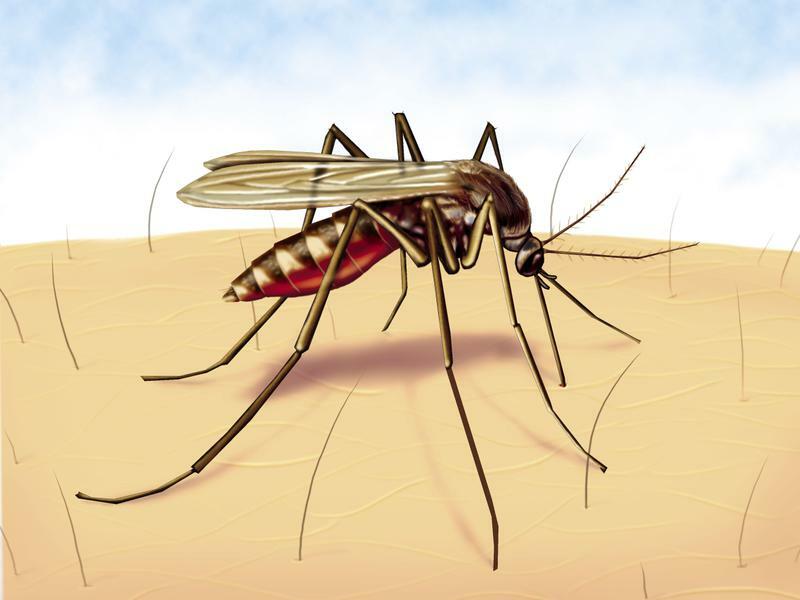 Mosquitoes may be annoying when you want to have a barbecue, but pipistrelles love to eat large numbers of them, along with other small insects. Brown long-eared bats use porches as feeding perches to eat larger prey. Look out for discarded moth wings and other insect remains on the ground. Droppings on a window sill or stuck to a wall are often the first sign that bats are using a house. They are easy to recognise from the finely chewed bits of insects. All 17 species of British bat have been recorded in houses and all can get through a gap just 20mm wide, so their entrance points are often difficult to locate and easy to block during routine maintenance. If you have bats roosting in your house, make sure you know their entrance points and seek advice from the bat conservation trust before starting any building work. Smaller, slow-flying bats avoid open areas where they are vulnerable to birds of prey. Good tree cover in your garden will encourage species such as brown long-eared bats to forage, especially in fruit and other trees that attract moths and a variety of insects. If space allows, plant a diversity of trees with a small glade to provide a sheltered feeding area. Finding bats in urban areas is not easy, and it’s better to get the experts to show you where you’ll see them. Join your local bat group and go on local bat walks. Once you have learnt the basics, it’s surprising how many bats you will spot, often well into a built-up area. Contact Laura Dunne at the Bat Conservation Trust for your local group. Mosquito breeding breeding begins April. 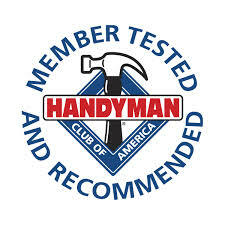 After a long winter remove all standing water from your gutters, pools, flower pots, bird baths trash can tires, etc. Sign-up for WNV Press Releases for all info on mosquito spraying in PA at www.westnile.state.pa.us.